The Pangu Team, which has thus far been responsible for a number of untethered jailbreaks across iOS 7 and 8, has finally broken its silence towards the constant public vilification and criticism by certain corners of the mobile security industry by posting an open and soul-bearing letter to its public facing website. The in-depth blog post has been given the title “Jailbreak Should not Tolerate Regional Discrimination,” and tackles many of the important issues that the team has been continually vilified for since entering the often controversial world of iOS jailbreaking. Although it’s clearly evident that the issues tackled within the letter have been brewing away under the surface for quite some time, it seems that the catalyst for actually publishing the retort was a recent perceived attack on the team by Stefan Esser – a well known security research specialist, otherwise known as i0n1c – at the SyScan (Security for Asia Network) conference in Singapore, which they feel was “racist and full of morbid allegations.” Strong words indeed. We encourage anyone invested in the jailbreak world, either as a developer or a liberated device user, to read the letter in full as it not only contains some valuable content, but also exists as an attempt to dismiss some of the more absurd allegations that have fallen on the team since its creation. As you might expect, one of the more pressing matters that the letter covers is the financial sponsorship of the team, effectively dismissing the speculation that it received $1 million to release its tools. The letter also attempts to refute claims that Pangu were doing wrong by utilizing kernel information leaks that were discussed in detail as part of a security talk held by aforementioned Esser. 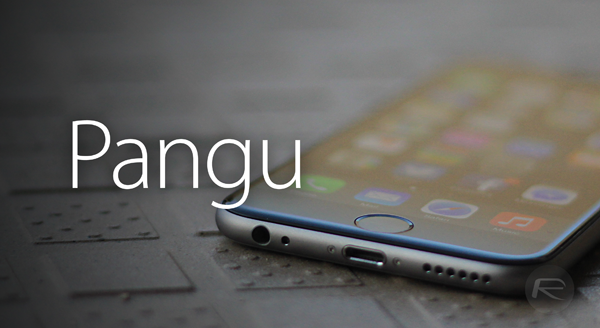 In an attempt to preserve another known vulnerability, it appears that the Pangu Team utilized the existing vulnerability, which they claim was already in the public domain, before swapping this out in a revamped version of the jailbreak tool based on received criticism. After covering a few other contentious issues, such as working closely with Cydia creator Jay Freeman and denying that stolen enterprise certificates were used as part of the jailbreak process, the Pangu Team sign off the open letter by declaring that the jailbreak community “should not judge a work for its’ developers race, creed, color or religion.” Regardless of our own opinions, we think that’s definitely a tune that we can all sing along to. Hey folks, are you having trouble սոⅼοсking your AT&T phones? As most sites that could actually ՍΝᏞΟᏟΚing AT&T are not anymore, since AT&T did the info base renew. But you will find still sites which have use of the database, just google atttiphoneeuunlockingis certainly one of us, go check it out, it’s one of many best ՍΝᏞΟᏟΚing site for AT&T without doubt.